Here at ComicsVerse, we’d like to take a moment to be thankful for all the superhero entries of 2018. 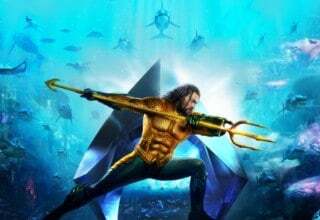 This includes two epic MCU entries, Insomniac’s SPIDER-MAN game, AQUAMAN/SHAZAM trailers, and our expansive roster of superhero shows on television. But… why limit ourselves to the current era? Let’s take a moment to honor the most important and influential superhero TV shows since the dawn of television. Each of these shows has had their own distinct impact on the genre, each influencing and raising a different generation of crimefighters. 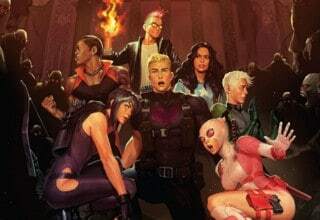 Without them, we might not have the expansive lineup featured in both the Arrowverse and Marvel Netflix universes. Oh, GOTHAM and LEGION too. Holy nostalgia trip, Batman! It’s true that superhero television can be traced back to the 1950’s THE ADVENTURES OF SUPERMAN, starring George Reeves. 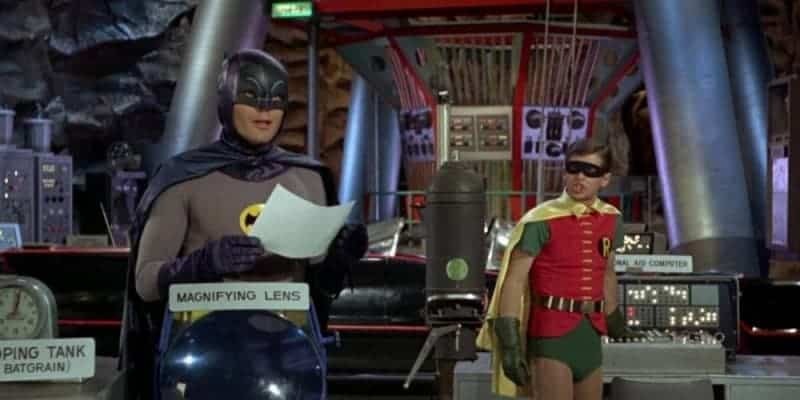 However, it was the 1966 BATMAN show starring Adam West and Burt Ward that truly catapulted superhero television into the public spotlight. Keep in mind that DC comic sales were in sharp decline during the 1960’s, with BATMAN, in particular, verging on cancellation. For all those times fanboys mocked the show’s campy tone, BATMAN actually saved the caped crusader. It worked on two fronts, providing an absurdist satire for adults and a deadpan superhero adventure for kids. And it truly left an impact on the comic lore. Sure we can point to the awesome Batmobile, Batcave and Robin’s one-liners, but many characters owe a debt to BATMAN. Catwoman, Riddler, and Penguin became household names after decades of obscurity thanks to their show’s characterization. Mr. Freeze went from a one-off gimmick villain to a member of Batman’s core rogue gallery. And Batgirl/Barbara Gordon made her debut as a key bat-ally, something that continues to this day. Not bad for a program best known for “BAM SMACK POW” and the batusi. Compared to Superman and Batman, Wonder Woman has been sadly lacking in adaptation representation. 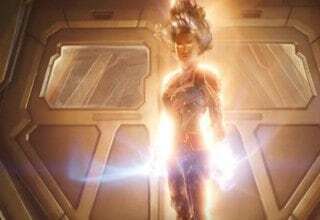 Outside of 2017’s WONDER WOMAN and JUSTICE LEAGUE/UNLIMITED, her characterization was mostly limited to the comics and little else. Even her TV appearances consisted of multiple failed pilots that never truly gelled with audiences. 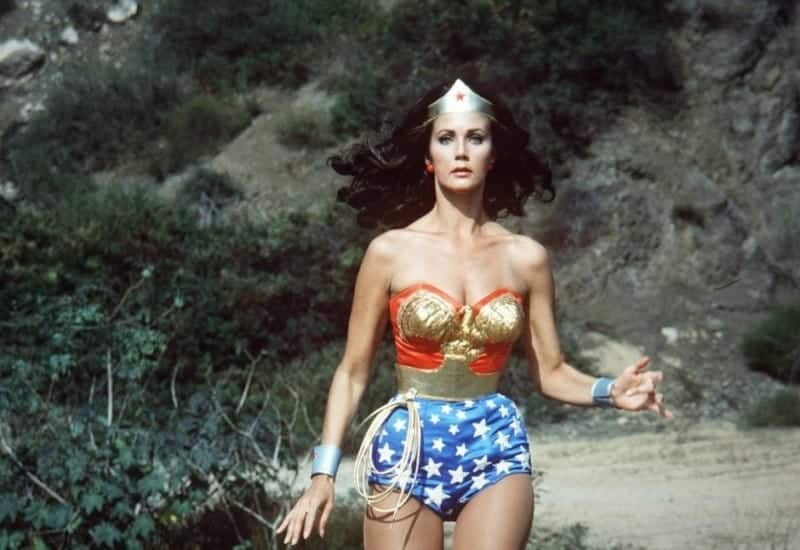 Yet everyone vividly remembers the legacy of WONDER WOMAN starring Lynda Carter. You know the theme song. You know the iconic costume twirl. You…. sort of remember what happened in each episode. It’s true that the individual episodes of WONDER WOMAN lacked the same memorabilia found in BATMAN. Yet Carter effortlessly brought Wonder Woman to life with grace, glamor, and a sense of warmth that embodied the hero’s comic roots. The overarching narratives were somewhat weird, focusing on WWII and the Nazis in Season 1 before transitioning into 70s counterterrorism for the later seasons. Much like Batman, however, Carter’s decision to play the camp completely straight-enhanced her character’s believability. Definitely a product of its time, but still plenty of innocent fun to be had with this show. Long before the Marvel Cinematic Universe, good Marvel TV shows, or even X-MEN and BLADE, there was this show. There were other attempts at live-action Marvel television, but most fans like to pretend they don’t exist. Just look at the visuals of 70’s SPIDER-MAN or the Doctor Strange TV movie to find out why. 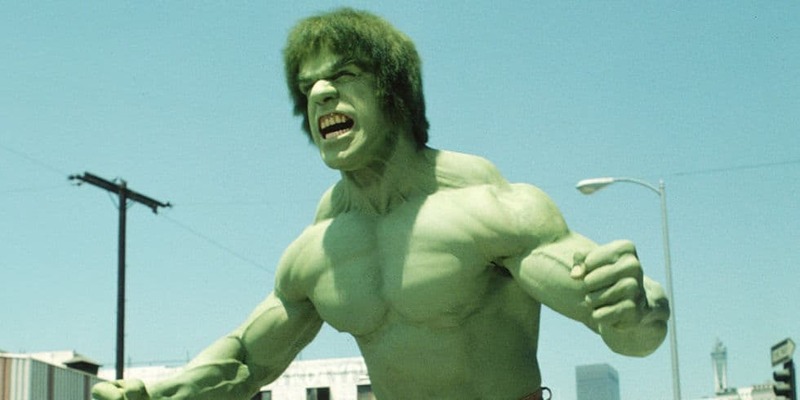 THE INCREDIBLE HULK was really the only franchise to get the adaptation tone just right. It was a mix of Jekyll/Hyde and THE FUGITIVE, framing David (middle name Bruce) Banner as the victim of a massive scientific accident. Considered dead by everyone, he hitchhikes across America in the hopes of curing himself, only for the Hulk to emerge during instances of local trouble. Oh, and there was an investigative journalist tracking the Hulk like Bigfoot because I guess General Ross was too extreme. Sure there were plenty of modern nitpicks, ranging from Bruce Banner’s name change to Hulk’s weird Beatles hairdo. But Bill Bixby’s mild-mannered demeanor perfectly contrasted against Lou Ferigno’s muscled physique and rage growl. The plots were low-key and focused on human monsters rather than gamma villains, but that was alright for this era. 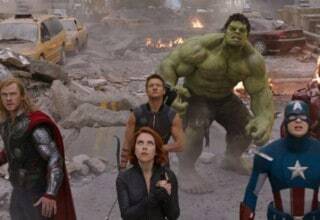 Guiding these conflicts was a melancholic depiction of the Banner/Hulk dynamic, and that remains mostly comic-accurate. Not every influential superhero show has to be live-action. 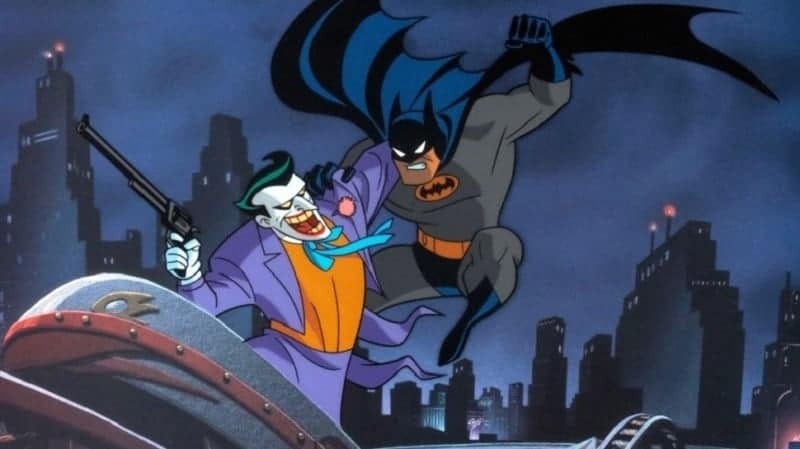 Some of the medium’s best adaptations tend to exist in animated form, and BATMAN: THE ANIMATED SERIES remains the pinnacle of that success. Even twenty-five years later, most Bat-fans continue to view this show as the definitive take on the Caped Crusader’s world. Taking inspiration from Time Burton’s BATMAN but favoring a noir-setting with contemporary technology, BATMAN TAS is both timeless and modern. Its writing was equally mature in a way that most animated shows had never attempted before. 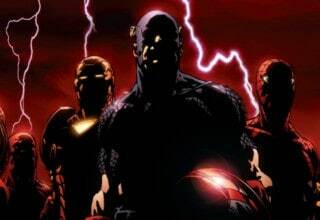 The characters were nuanced and layered, rather than two-dimensional archetypes of the SUPERFRIENDS era. Updated character origins like Clayface, Two-Face and especially Mr. Freeze became canon within the Batman mythos. New faces like Harley Quinn have become iconic staples of the DC pantheon. And it’s hard not to read a Batman/Joker confrontation on the panel without hearing Kevin Conroy or Mark Hamill’s voices. To this day, it remains one of the best animated shows of all time. 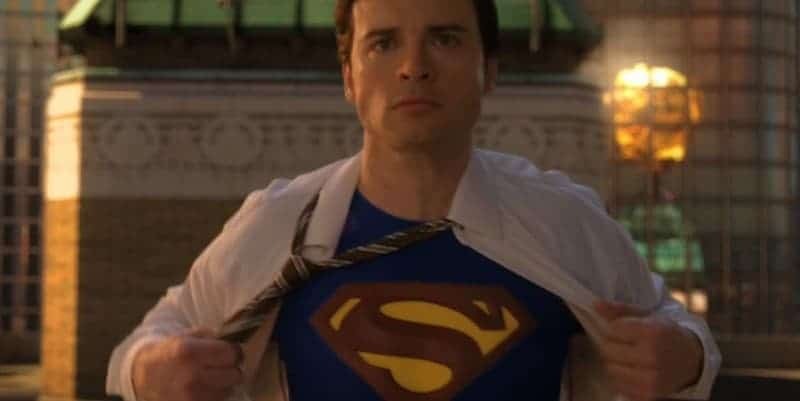 Watch clips of SMALLVILLE nowadays, and it definitely feels like a product of the 2000s: a Superman melodrama without that big red S emblem. A relic of the pre-CW WB network, it still remains a prototype for today’s ensemble of superhero programs. The focus was less on Superman than a young Clark Kent learning to control his powers and explore the secrets of his alien heritage. This narrative would later undergo an evolution as ongoing character arcs replaced krtptonite-infected monsters of the week for the residents of Smallville, USA. Much like other shows on this list, SMALLVILLE made up its genre rules simply by being one of the only superhero shows on television. Still, one can easily watch this show and perceive Tom Welling’s Clark or Michael Rosenbaum’s Lex Luthor as worthy adaptations of the iconic DC characters. Compared to today’s modern entries, however, that melodrama was needed to make up for the early “no tights, no flights” rule. It’s strange to remember the early days of ARROW: a dark melodrama about a man with a bow and a five-year mission. Despite borrowing a bit much from the Nolan Batman films at first, ARROW gradually found an identity unique to itself. Seven seasons later, it’s still an integral part of the titular Arrowverse, even if critical approval tends to vary. Yes, we can mock the endless flashbacks, the Olicity drama, or the show’s struggle to properly utilize certain plot threads or characters. Stephen Amell’s mastery of the brooding face has been the subject of many meta jokes already. Yet this show proved that a modern superhero show could work. It gave the Green Arrow a newfound prominence and elevated his supporting cast to engaging members of his war on Star City’s criminals. The melodrama might have been ham-fisted at times, but it still made Oliver Queen a compelling hero in his own right. It’s definitely frustrating to watch ARROW swing from great to underwhelming in the blink of an eye. But the show’s gritty tone and mature direction quelled all fears about making a successful superhero program. For all of its rough patches, no modern superhero show would be here if ARROW had failed its network. 7. Marvel’s AGENTS OF S.H.I.E.L.D. 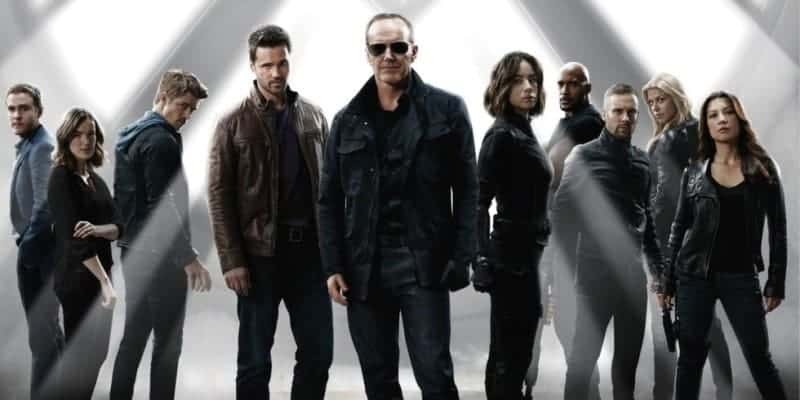 Similarly, it’s hard to remember the days when Marvel’s AGENTS OF S.H.I.E.L.D. was considered “alright” as a superhero show. Anyone who stuck around during Season 1 will tell you the same thing: it got better after the WINTER SOLDIER tie-in episode. 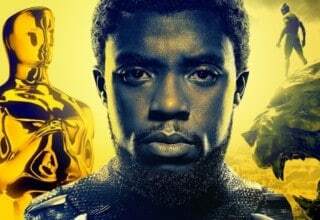 Suddenly the “clean-up team” of the week broke free of its movie constraints and embarked on its own colorful exploration of MCU lore. From the Inhumans to Ghost Rider to the Kree in space (and the far future), AGENTS OF S.H.I.E.L.D. really has it all. 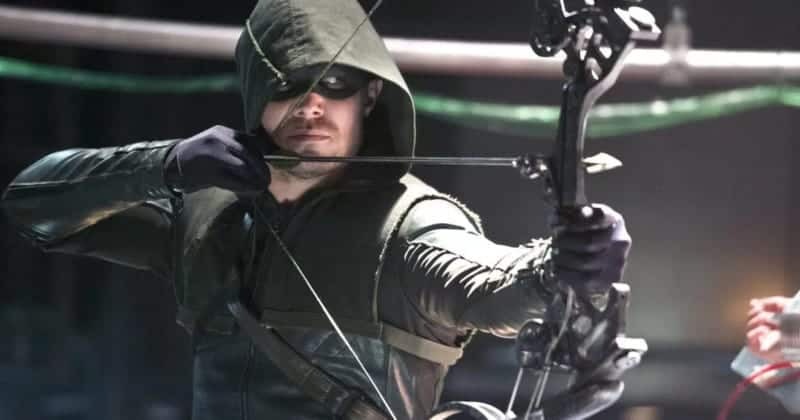 Much like ARROW, it turned unknown or in-universe characters into fan-favorites and provided them with engaging character moments to keep us invested. Hell, the show even features a romance so genuine you WANT to see the characters come out on top (#Fitzsimmons forever!) No member of Agent Phil Coulson’s team feels expendable- they’re a well-oiled crew whose moral center is constantly tested by larger than life threats. 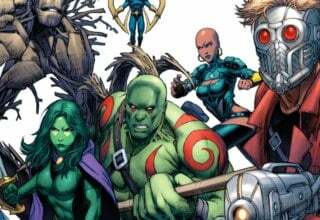 S.H.I.E.L.D.’s characters are underdogs, even if their roster includes two Inhumans, two genius scientists, and a soldier with a shotgun axe. The storylines are compact yet well-written enough to fit within the 22-episode line-up, usually a detriment to most shows in the subgenre. This is easily the show’s greatest strength-it feels like it’s going somewhere and makes you excited to figure it out. Somehow, this makes its narrative a lot tighter than most of the dramatic Netflix storylines. 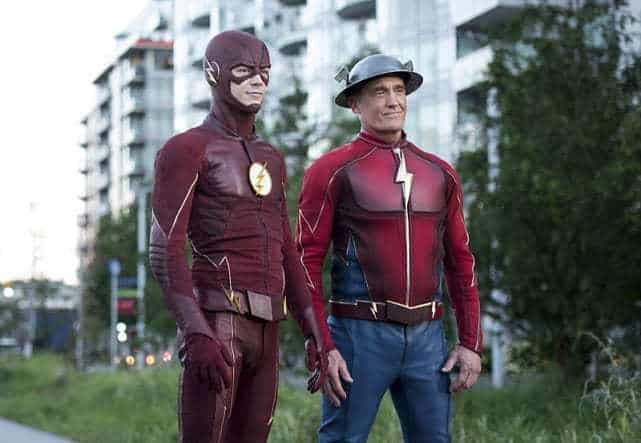 More than any show on our current TV landscape, THE FLASH showed that superhero shows could be fun. That line might sound weird given the marathon of MCU titles, but DC REALLY needed to make that formula work. Replicating ARROW’s dark atmosphere was never an option, and Season 3 is a pretty good example of why. THE FLASH is at its best when balancing serious moments against wacky speed terms and colorful abilities. Characters don’t just fight bad guys, they name them like a comic book writer. Barry Allen uses his super-speed to fight crime and do recreational activities like getting coffee or ice cream from the store. Sci-fi gadgets that hardly qualify as “realistic” are developed on the spot and feel just as awesome as they look. Even the cameos are great, with numerous FLASH alumni reprising their old roles as both fan service and story beats. The show is just fun and it embraces its weirdness with open arms. Sure characters can get overly mopey and Flash’s speed is diluted to prolong episodes beyond a single enemy encounter. I’d even argue that THE FLASH is a prime example of where the TV format SHOULD cut episodes from its season. But one look at Grant Gustin’s smile and you instantly remember why we keep coming back: he’s too damn likable. 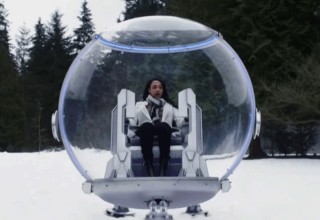 No matter how many times the show stumbles, you still want to see the Star Labs team pick themselves up and save the day. 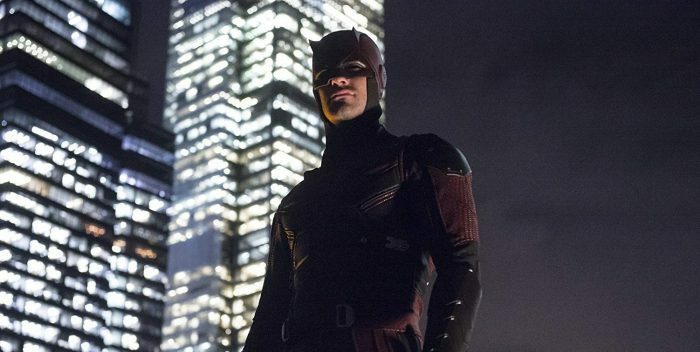 DAREDEVIL’s first season might be the best storyline of any superhero show, period. 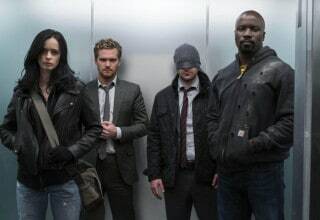 Expertly paced, compelling, well-choreographed, and an outstanding villain- it set the foundation of the Marvel Netflix universe. Blending Frank Miller-era imagery with Catholic themes and morally ambiguous actions, DAREDEVIL simply got the character. It delved into Matt Murdock’s inner struggle to absolve himself of sin, all while stating his need to continue this seemingly daunting mission. At the same time, it provided him the perfect foil for Wilson Fisk, played with a childlike menace by Vincent D’Onofrio. With the exception of JESSICA JONES’ Kilgrave, no other villain in the Netflix franchise has quite matched his presence. DAREDEVIL might be about blind vigilantes and ninja cults, but at its core is a man torn between his ongoing mission and his faith. And a whole bunch of awesome single-take hallway fights. And last, but not least, there’s the superhero show that I’M most thankful for. 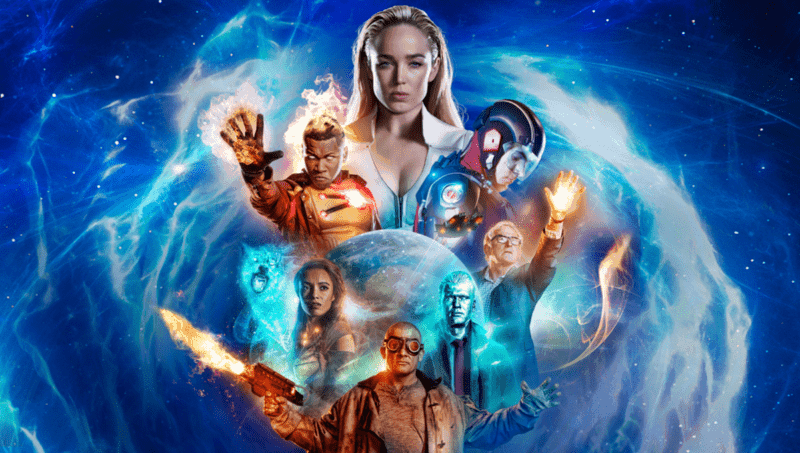 After a rocky first season, LEGENDS OF TOMORROW finally discovered the quirky, self-aware brand of humor that distinguished it from any other show on the market. It’s weird in ways that so many other shows wouldn’t dare to go, and all the better for it. Gorilla Grodd in Vietnam. Helen of Troy in the Golden Age of Hollywood. A time loop episode that explicitly acknowledges GROUNDHOGS DAY. Even the recent season premiere featured the Legends hunting a murderous unicorn with LSD spit at Woodstock. It’s weird, quirky, and ridiculous in ways that would make even the Silver Age blush. Oh, and LEGENDS revived John Constantine three years after his NBC show’s cancellation, making many fans rejoice. Yet LEGENDS isn’t devoid of serious scenes. If anything, the dramatic character moments compliment the goofy premise of time-traveling misfits, leaving their mark on history. Think FIREFLY, DOCTOR WHO and GUARDIANS OF THE GALAXY mixed together, but with a lot more ballsy decisions. After all, what other show would willfully pit a demon against a supersized children’s toy who just wants to cuddle? THIS show! The TV landscape is much different now than it was a decade ago. Successful superheroes programs are no longer a dime a dozen, but a wide plethora of titles on high-ranking networks. And yet these modern shows owe it to their predecessors for laying the groundwork for our modern renaissance. Let’s just hope the future brings some more awesome entries. TagsMarvelWonder WomanDaredevilDCArrowthe flashSmallvilleLegends of TomorrowBatman: The Animated SeriesBatman 66Superhero TV showsthe incredible hulkMARVEL’s AGENTS OF S.H.I.E.L.D.